Delta-Simons can advise at the early stages of development design to minimise the volume of material and waste management which requires disposal. Site preparation, foundation construction, site leveling, basement excavations, invasive weeds clearance and the excavation of utility service trenches all have the potential to generate thousands of tonnes of excess soil on commercial development sites which require effective management in order to minimise cost, risk and programme delay. 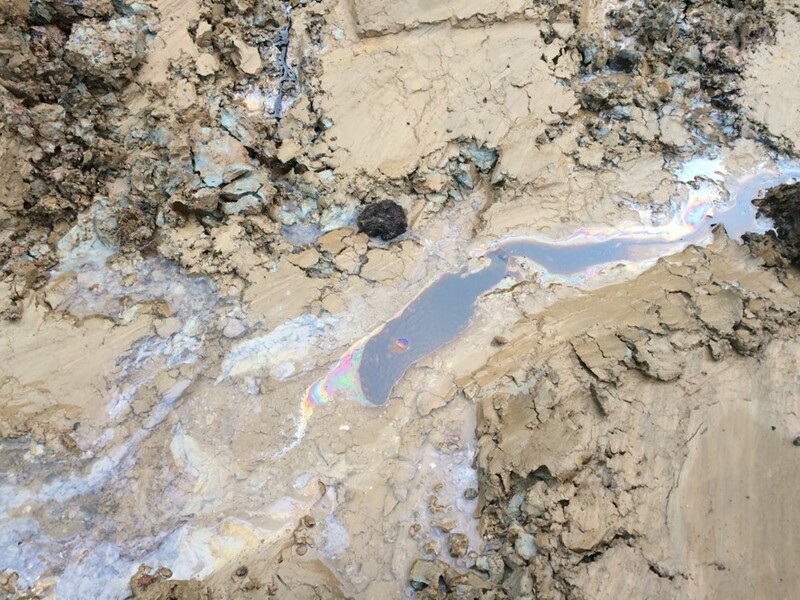 Additionally on brownfield sites, soil arisings and other materials can contain various contaminants which can further impact on management, waste classification and costs. 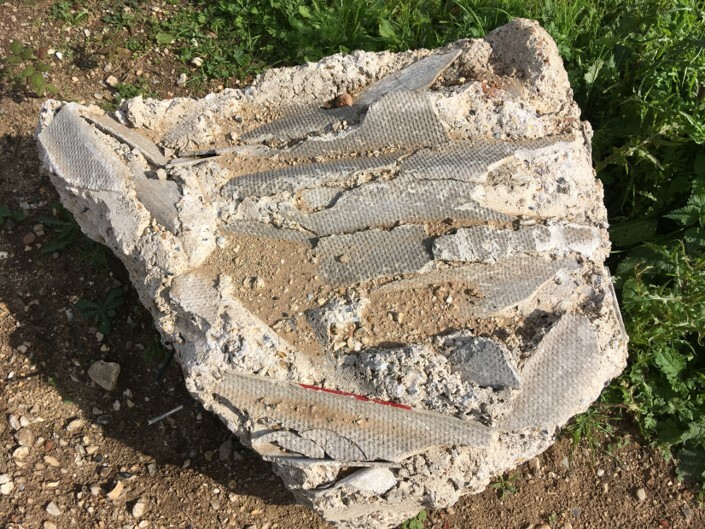 The handling of such waste and construction derived materials is governed by a range of complex and changing legislation and codes of practice, which need to be understood and complied with in order to minimise waste generation and subsequent waste disposal or treatment. This is often one of the principal costs associated with development on brownfield land. To control these costs and reduce the environmental impact, Delta-Simons can advise at the early stages of development design to minimise the volume of material which requires disposal. Where disposal is unavoidable, classification testing and on-site management of material is undertaken to ensure the most appropriate disposal route from a legislative, environmental and commercial perspective. Following the European revised Waste Framework Directive (rWFD) the Environment Agency is actively seeking compliance with the Waste Hierarchy, which is set out in The Waste (England and Wales) Regulations 2011 and which seeks to avoid disposal of waste by preventing the generation of waste, or by reusing or recycling waste. By being involved in a development at an early stage, ideally at the design stage, we can advise customers on the most appropriate options to comply with the Waste Hierarchy. All developments need to understand the materials on site and whether waste can be reused or if it requires disposal. By understanding the development at the earliest stages, we can produce a comprehensive Materials Management Strategy to advise on the best ways to manage and dispose of materials where required. This could include a pre-planning baseline investigation to provide a pre-works benchmark, or to support a bulk earthworks activity. The Environmental Permitting Regulations (England and Wales) 2010 provide a detailed set of rules for waste management licensing for businesses operating in England and Wales which relate to the use, treatment, storage or disposal of soils and waste materials. We can advise on the most appropriate pathway through these regulations; for example, applying for a standard permit to allow the reuse of demolition materials or applying for a bespoke permit for a specialised activity. Businesses in Scotland and Northern Ireland may need a pollution prevention and control (PPC) permit in order to operate certain waste management activities. We can advise the most appropriate pathway through the Regulations, for example, by liaising with the local Regulators. Including material characterisation, waste classification and testing for waste acceptance criteria (WAC testing). We can deliver the most effective method to determine if soils should be classified as hazardous waste, non-hazardous or inert waste to ensure correct disposal to landfill. For example, carrying out a ground investigation to determine the soil profile followed by laboratory testing to provide WAC results, or by agreeing a bespoke position with the Environment Agency. With the withdrawal of landfill tax exemptions, continuing year-on-year increases on the standard rate of landfill tax and an expected minimum floor, landfill tax is a significant consideration for our customers. 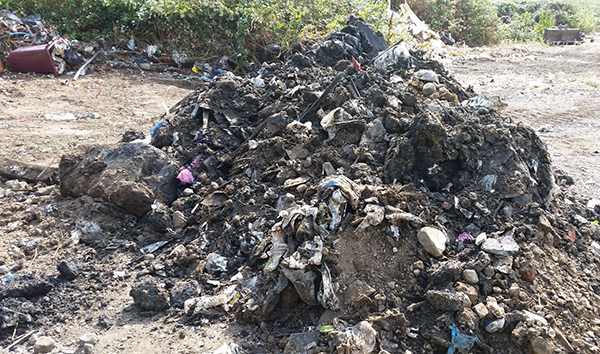 Whether as part of a Materials Management Strategy or on a case-by-case basis, we will seek to reduce development costs by assessing and characterising soils and waste materials in order to minimise disposal to landfill and the rate of tax charged. Where clients and developments qualify, we can assist with claims for land remediation relief as part of tax returns. This allows businesses to claim relief of 150% of the clean-up cost from corporation tax for contaminated land, not caused or knowingly allowed by the company claiming. Paul joined Delta-Simons in 1996 as an Environmental Scientist and has progressed through the company to Unit Director of the Midlands region (Lincoln, Nottingham and Birmingham regional offices). Paul has vast experience in brownfield site assessment in the UK and Ireland including feasibility, planning, designing and managing multi-disciplinary projects on commercial, industrial and residential landuses. Richard is Unit Director for the northern regions, and has over 18 years' consultancy experience in contaminated land, remediation and environmental due diligence. Richard is responsible for leading the Delta-Simons Geo-environmental operations team in Manchester, Leeds and Durham, providing contaminated land, geotechnical and environmental due diligence services and support to a growing client base. Tim joined the Norwich office in 2010 and is now responsible for growing the East Anglia regional business unit. Tim brings with him over 10 years' experience in the geoenvironmental field, particularly in East Anglia, and has led a number of prominent projects in the region including working as resident engineer. Tim has specialist expertise in geotechnical site investigations, Phase I and II environmental and geo-environmental assessments, and the management of remediation projects. Simon is a Divisional Director and looks after the London office and region, having joined in 2015 after 14 years leading teams within a large global environmental consultancy. Simon's primary areas include due diligence, contaminated land, human health and controlled waters risk assessment, remediation and project management. He has an established track record in the successful delivery of large scale, complex environmental assessment work as part of multidisciplinary teams including soil, groundwater, soil vapour, indoor/outdoor air investigations, expert witness work, asbestos in soils and environmental forensics. Simon has provided environmental support as well as led assessments on a significant number of transactions including property in the UK and across Europe, and rapid assessment programmes for portfolios of non-performing loans. His development-related experience has ranged from small scale through to some of the more significant residential and commercial schemes in the UK, with two of his projects winning Brownfield Briefing Awards in 2014. Simon has also led site closure projects including the demolition of over 200 buildings, and the design and implementation of major remediation and earthworks programmes. Simon is passionate about the projects he gets involved in and combines his technical knowledge with a strong commercial approach to assess environmental challenges, and develop effective and economic solutions for Delta-Simons clients. Simon is a Chartered Environmentalist (CEnv) and Environmental Scientist (MIEnvSc).